Last week Dawn Durante and James Engelhardt, acquisitions editors at the University of Illinois Press, came to the Department of English to offer their advice and experience on working in the publishing industry. Understand the publishing process and recognize that there are a lot of different points of entry. 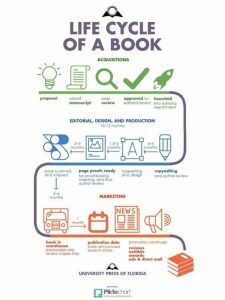 Recognize that the publishing industry has many different dimensions: not just the well-known large trade publishers in New York, but also regional presses, university presses, specialty publishers. Look for ways to get relevant experience working: internships, volunteer work, paid employment. Note that experience doesn’t have to be directly in the publishing industry to be relevant. Follow publishing houses that interest you on Twitter. This entry was posted in career, job search, strategy by KW. Bookmark the permalink.